For starters, if you want to make the most out of free standing wardrobes for sloping ceilings, go with sliding doors. 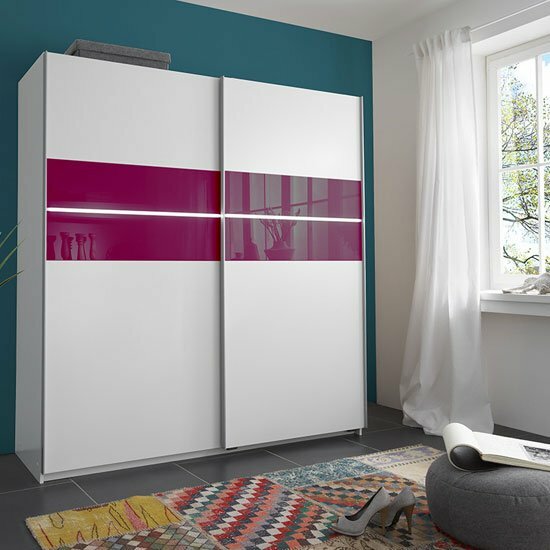 This is the most space efficient idea that will help you utilise every centimetre of your new bedroom space — that is, the doors will not require any extra space in an open position. This is a huge plus for a very small attic. Next decoration tips while turning the attic into a bedroom would be to forget about pendant ceiling lights. Instead, go with compact recessed lights — they look modern and minimalistic — that is, very time relevant. Plus, they will make your room seem a bit higher. Another suggestion that will make the room seem a bit larger is to paint walls in different colours. A couple of light (preferably, white) walls and one brighter wall is the kind of solution that is not only contrasting, but also visually spacious. Yet another idea you might appreciate is to paint a couple of stripes on white bedroom walls. Vertical lines will add height, while horizontal ones — volume. The most important ‘but’ to remember here is that you will have to pick just one option — either extra height or extra volume. Accessories play a very important role in interior decoration. By carefully choosing a range of little details, it is possible to turn even the simplest room in a designer masterpiece. Perhaps, one of the simplest and the most impressive ideas on such accessories would be to find matching drapes and rugs. They can have either identical shades or matching ornaments — here, the choice is up to you. Even though free standing wardrobes for sloping ceilings are some of the most important units that help optimise your available space, you should not forget that natural light is very important, too. Usually attic windows are rather small, and you should better keep them as open as possible to ensure that enough natural light infiltrates the room. In this matter, very light curtains or shutters will be pretty helpful.